Crafts in all their glory there. It will be interesting to see how different bloggers interpret this prompt! sweet & artsy, creating beauty. love being crafty & love your haiku! you hid your haiku craftily in the comments! Madeleine — another gem of wit from you!! Yea!! Excellent haiku! Anything crafted is a gift from the heart. I love this weeks prompt!! I’ll be back later to see what everyone else came up with! I think I put a bit of a unique twist on this! Thanks for hosting! Lovely prompt “craft”, I have tried again with the classical 5-7-5 form. I think I succeeded. Feel it in your soul…yes, very important for a craft to excel! sorry i haven’t been participating regularly ~ life has gotten in the way but i’m hoping to do better. 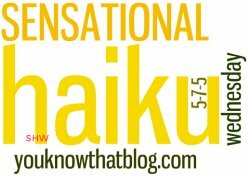 your haiku are all wonderful! but they always are. i hope 2012 is being kind to you so far. dani ? What a great series of haiku. I had so much fun with this theme. Welcome aboard, Geraldine! 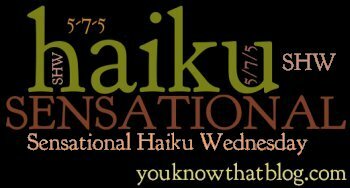 Hope you try haiku with us soon! Thanks for subscribing, too – I’m always so thrilled when people do that! !